I don’t recall being as angry at a protagonist as I was watching former Senator Gary Hart (Hugh Jackman) foolishly throw away the opportunity to be President of the United States for an alleged liaison with a woman he’d met in Miami. 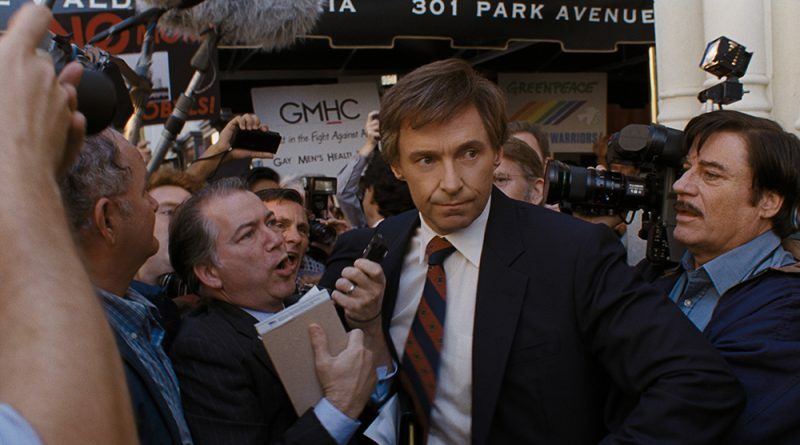 The Front Runner interrogates a watershed moment in media coverage In mid-1987, leading to the Democratic nomination of its 1988 Presidential candidate, Gary Hart was poised as the solid, impressive front runner. 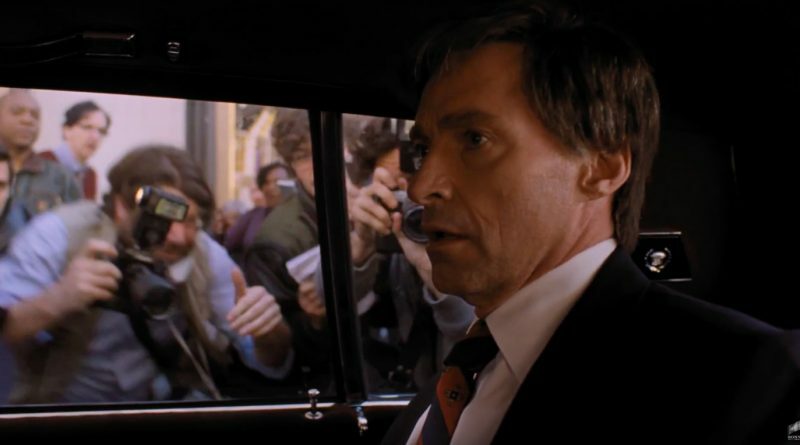 Director Jason Reitman takes that designation as the title for The Front Runner, an even-handed dramatization of watershed moments in media coverage of candidates; for during reporters’ unprecedented pursuit of Hart’s private life, the landscape shifted forevermore. Welcome to the worst episode of West Wing, ever, as directed by Jason Reitman trying to channel Robert Altman. Never has Altman’s signature overlapping dialogue and large, panoramic casts been so ill-used than in this pallid distillation of what went wrong with Colorado Senator Gary Hart’s 1988 presidential campaign.